Free ample parking on Castro street and rear parking lot. Time limits apply during daytime. We offer catering for all events with a focus on your needs and requirements. We offer custom menus, and various other services for your event. Please inquire with the restaurant for details or call Mr. Balkar Singh directly at 510-676-5641. We have a private dining facility which has a capacity of 30 people. We have a main dining room which can do events of up to 100 people. 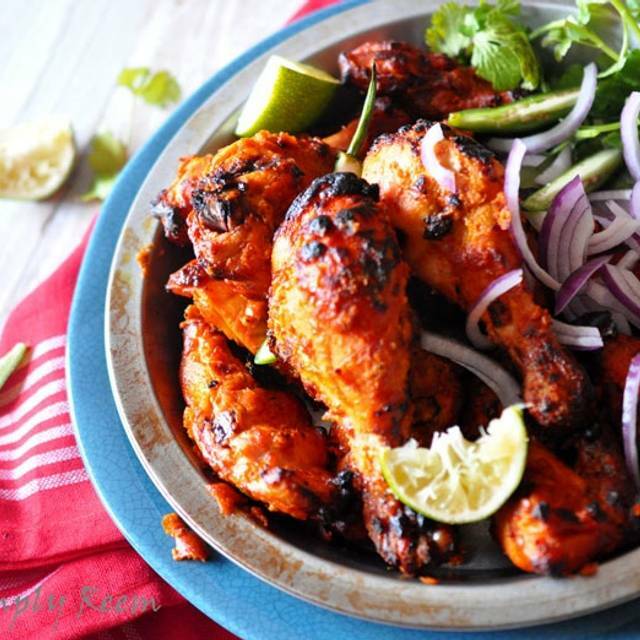 Sakoon invites you to embark on an extraordinary culinary journey of India. 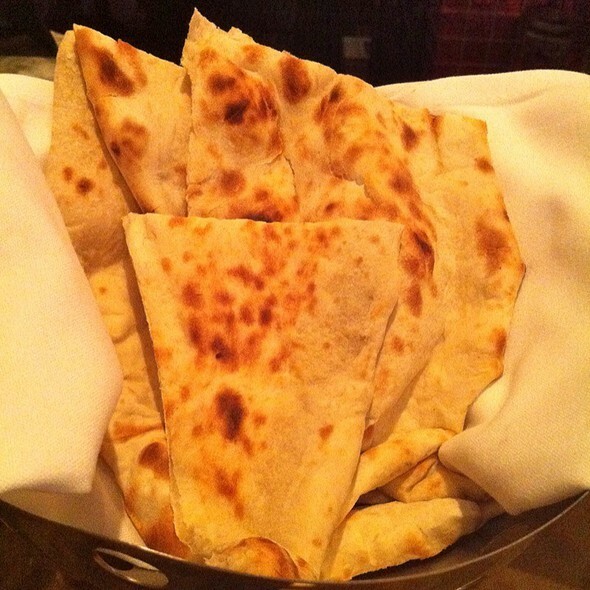 Nestled in downtown Mountain View, Sakoon offers diners a tantalizing blend of traditional and contemporary flavors representing multiple Indian regions. Our chefs have created dishes that borrow from the past, yet are reinvented anew with vibrancy and modern flair. Named for the Indian word for "peace," Sakoon was designed to envelop diners in warmth and serenity. Upon entering the restaurant, you'll be greeted by the image of Buddha in hand-carved wooden panels, the glow from fiber-optic chandeliers, and the shimmer of a waterfall cascading into a pool of lotus petals. We invite you to join us for an exquisite dining experience. For entertainment and event information, please visit our web site at www.sakoonrestaurant.com. Tomato and carrot, cream soup mildly spiced. Wonderful restaurant, great for lunch and dinner. I love the flavors, the food, and the staff. I would certainly recommend it to anyone. Absolutely amazing food. One of the few places in Bay Area that serves authentic Indian food. Prices are at par with the quality of food and service. Been here a couple times and would keep going back. Definitely recommend to anyone who wants to have Indian cuisine. I don't know exactly what was wrong with the food, My mother and I both got stomach infection after having dinner at this restaurant. My dining companion and I arrive a few minutes before our 5 pm reservation and the doors were still locked, which the hostess quickly remembered. I had made a special request for table against a wall or window which was honored. Initially we were the only guests, our drink order was taken and quickly served. We asked our waiter for some recommendations, which he offered, before ordering the Samosa appetizer and the Tandoori mixed grill. Again our order arrived quickly. 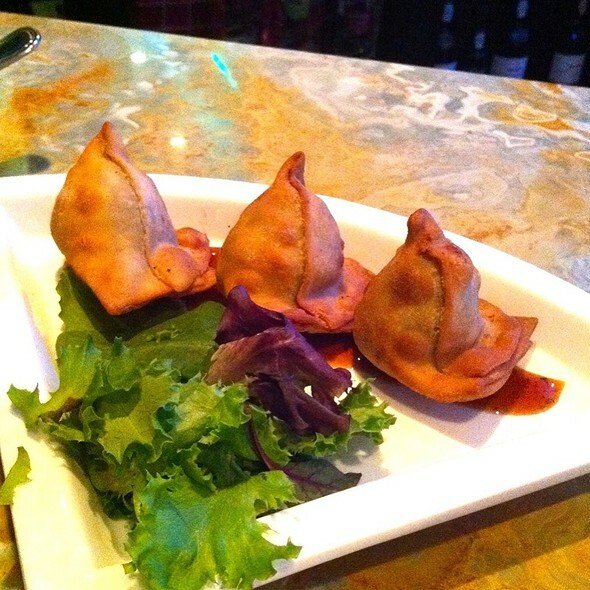 The samosas (3 pieces) had a thin, light and crispy outer crust with a nicely seasoned filling. The mixed grill had two pieces each of prawns, boneless chicken breast, a sausage and lamb chops. The platter with the mixed grill also had a bowl of dal and some garnish, similar to the garnish on the plate with the samosas. Service was prompt, attentive but not intrusive. As the restaurant filled behind us, the noise level increased but never so much that my companion and I had to raise our voices. Finally, even after paying the very reasonable tab, at no point were we hurried along. It was an excellent dining experience, one which I would be happy to repeat the next time I have an appetite for Indian cuisine. Had a reservation for a booth, waited and got a table amidst busy walkway which was not a booth. Did not get naan almost till we were ready to write the cheque. Food was average. The food is delicious! The restaurant was fairly busy, so it took a while to get the check at the end. It's a little too expensive for what it is, but I definitely enjoyed what I ordered. I will likely come back. The service was mediocre at best. We kept thinking our waiter forgot about us as it was approximately 10 minutes before he came to get our order, he forgot to deliver my drink so we had to flag down a manager, then he never came back to our table once the food was delivered. We ordered 2 types of rice and only received one. We had to flag him down again to ask for our check, then he again did not return to pick up our payment. We had to flag down another manager to run our credit card. Poor service but delicious food and warm, cozy, well designed decor/great ambience. Excellent Indian food. This along with Amber are my two go to Indian places for good food with ambiance. Dinner is good, lunch buffet is superb. Staff/servers need to be more trained- did not know what a dry wine is? While the service was very good and some of the dishes nice, I didn't feel that the a la carte dining lived up to the extremely high bar set by the lunch buffet. Still a good place, but I'll come for lunch instead. 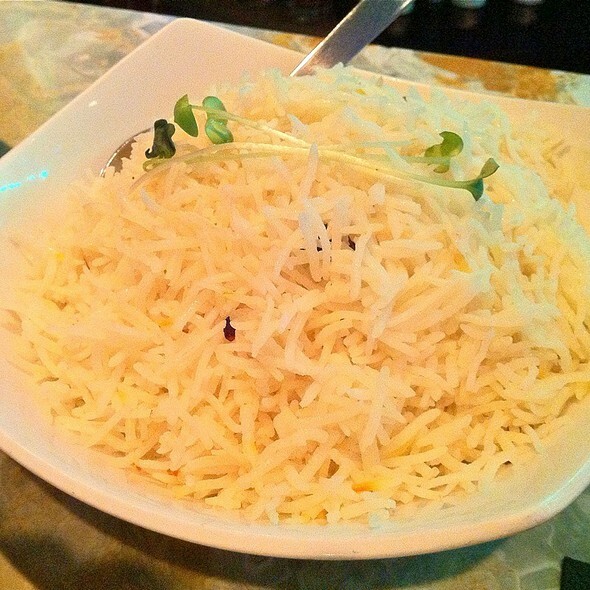 We love the food, service and ambiance at Sakoon. Thanks everyone for making our family birthday party a special event. In spite of making a reservation for 2 people at 1 pm, the front desk lady refused to give us seating at 1 pm saying that the wait was 20-30 minutes. Horrible attitude, awful experience. We chose to go elsewhere. I would have liked to give higher rating purely based on taste of the dishes - which we loved. From appetizers to entrees - everything was very good. However despite having made reservations ahead of time i found a few things quite lacking. We were shown to a table after a short wait - with cleaning towels (used for floors) lying on our dinner plates and napkins.There was constant cold air draft at the table and perhaps since table was close to the bar their was very unpleasant smell to the floor. Service was quick and good. And we ignored other inconveniences and focused on good taste of the food. Wish they could fix up the ambiance to keep the value of the high price. It was a wedding anniversary 12/25. We had 8.30 reservations and seated at 9.10 after pleading, requesting and groveling because we had 2 very hungry children. Good came at 10.20 after pleading. We informed the horrendous Manager that it took 1.5 hours to get food. Manager and waiter told us - no it only took 1 hour since we took your order at 9.05. Food items for kids were missing! They arrived at 10.55 just when we were leaving (after much pleading). Waiter showed up to the table twice overall. Lady manager was one of the worst in diction, words, courtesy and manners - she should not be in hospitality industry. Story not over - waiter gave one bill and then swapped it out with 35 extra dollars for gratuity for our party of 6! Disgusting hospitality - does not deserve to be in business but seems to have survived Castro turn over for a decade. Owner, are you reading? Extremely spicy food. Tasted more like South Indian food rather than North Indian food. I always love the food at this restaurant’s buffet, but this time we had a weird experience when we arrived. The host didn’t believe that we had an open table reservation despite that I showed it to him on my phone. He seemed to be implying I was lying to get ahead of all the people waiting at the door who did not have reservations. Apparently this must be a new program for them because I have never had anyone challenge me over a table reservation. The female hostess found our reservation but I was already pretty offended. Not sure how this will impact us returning in the future but likely we will just go to Amber India which in my opinion has Indian good just as good or better than Sakoon’s food. One of the good Indian buffet place. The only thing missing from being perfect is mango ice cream. I had made a reservation for 20 people as a it was a team outing. Apparently the person who received my call made 2 reservations for 10 people, then later forgot about it. The manager assuming it's been entered twice deleted one of it. Now, it being a team event we were thrown back in some alley kind of seating area with bad lighting and poor service from one of the manager. We told them the mistake is at their end, neither they apologized nor did they care that they did something wrong. Manager's reaction was "yeah we deleted it". What the hell kind of answer was that? There were more screwed up reservations that day but manager didn't care. Apparently, they got a lot of business rather than to care about a day of misconduct. Would never go there now. Great service and fantastic food. I would like to thank the restaurant management specially for honoring an expired group-on coupon. Very friendly service and nice ambience. we had to wait... the restaurant was running late with their morning routine and that pushed us to move some work meetings around for the later part of the afternoon. I had a nice meal. I thought it was a little overpriced so it didn't feel like a deal, but it was tasty and the variety on the menu was nice. There are a lot of options to choose from including some dishes that I have not come across before. I'd say it is worth going if you don't mind a little bit of an inflated price tag. I'll go again some time. quality and taste of food was very bad. The menu is repetitive, gulab jamoon was half baked and carrot halwa was dry ! There was another dessert item that was stale ! The food options are pricey. The starter portions are small. The service is not up to the mark. Seems like the service and management was not keeping up with orders, even when the restaurant was not even full. Many folks on others tables were having similar complaints. Food was delayed and billing was done wrong etc. Would not go back. Great place to take coworkers for lunch. Get there early since the place fills quick at lunch time. You definitely want to make reservations and Open Table is the perfect app for making such reservations. It was very noisy and full, Wednesday evening early. The waiters were actually running. A bit slow for service. The dishes were hot and all were spicier than expected, but good. The naams were both perfect. The food is fantastic that's why it's pretty crowded. This is not a restaurant for fine dining, but a great choice for an every day lunch or dinner. Very limited wine list. Fairly extensive menu, accommodating for food allergies or preferences, excellent service, nice wine list. Overall a bit pricey especially if drinks are included in your evening. Food was good to excellent and will certainly give the buffet a try on the next visit. The lunch buffet was great. Lots of food and the food was fantastic, every dish was delicious. Save room for the sweets too. Food was very spicy and no flavor. Overall disappointing food experience. Their Service was pathetic. 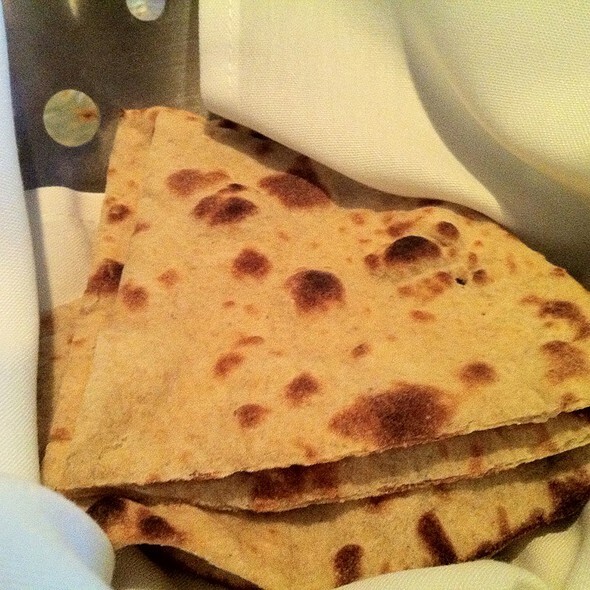 Every single time we have to call them to take away old plates and refill the Naan’s . Amazing no concept of customer service. It never use to be like that before. We busted them in past couple of time and experience used to be good. Very good buffet at lunch. Extremely crowded so try to go at off peak hours.